We’re living through an interesting period in financial services. From the revolution of open banking to the rapid rise of the robo-advisers, rarely has our industry seen so much disruption in such a short space of time. For wealth managers, much of that innovation has focused on using algorithms to bring down costs and reach new audiences. The 130 (and counting) robo-advisers that have entered the market are a welcome addition, but is their potential being realised? The problem isn’t with robo-products themselves – it’s with their scope. Because the current crop of algorithmic advisers focus on only one aspect of users’ wealth, like their ISA or mortgage, they’re missing out on the opportunity to offer more holistic advice. Open banking lets wealth managers take a much wider view of their customers’ finances and provide more suitable advice but few, if any, providers have yet to take full advantage of it and the market is due to see a surge of new players who will. Sarah wants to start investing. She’s been reading some articles online and thinks that a robo-adviser could be a cost-effective way to get started. She’s not wrong. But what her ISA robo-adviser can’t see is that Sarah also has £5,000 of credit card debt and high-interest loan on her car. Any human adviser would tell her that paying off her credit cards is a far more effective use of her savings. But with access to a very limited set of information, her robo-adviser can’t make that judgement call. As any adviser will tell you, more information equals better advice. Robo-advisers have the clear potential to offer truly holistic advice, but manual date entries and fact-finds fail are failing to unearth the required information. But by using open banking APIs to legally aggregate a customer’s date, the algorithms could access a much wider data set that includes credit cards, bank accounts and ISAs, and use it to generate suitable, targeted advice – while saving customers from spending hours on fact finding. Providers could incentivise customers to add more APIs by giving them a reliability score. Adding one bank account would give you a lower score than if you also added your credit cards and ISAs, for example. It’s a smart way to encourage users to help wealth managers provide optimal financial advice. Ultimately, we as an industry should always be looking for ways to improve the suitability of financial recommendations. Algorithms can go some way to facilitating this conversation – but surely gaining a better understanding of your customers’ date is the real answer, hidden in plain sight. To find out how we can help your business evolve, get in touch on 0117 280 5155 or email enterprise@moneyhub.com. Moneyhub’s integration with Starling Bank’s API allows users to initiate a payment straight from one account to the other quickly, easily, and at a fraction of the cost to organisations of traditional payments. The move follows the implementation of Open Banking in January last year, and comes ahead of the new requirement that all banks must support PSD2 legislation by September this year. Starling Bank’s half a million-plus users can also now act on the already established Smart Nudges within the Moneyhub app. 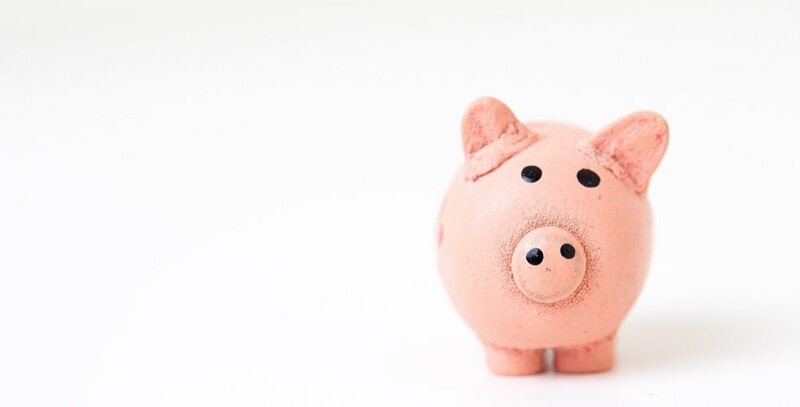 For example, if a user spends less on entertainment than budgeted, they will receive a ‘Micro Saving’ nudge’ prompting them to save the money left over into their choice of savings accounts or investment accounts they hold. With Moneyhub’s Payment Gateway, they can initiate the payment to their ISA, savings account, Pension or pay off any debts straight away making Smart Nudges actionable with immediate effect. The technology developed by Moneyhub features almost 600 data links, the largest of any aggregation provider in the UK. Users can link up current and savings accounts alongside any credit cards, pensions, loans, mortgages, SIPPs, ISAs or investments. Moneyhub has been instrumental in the Open Banking revolution, helping to define global standards for financial APIs. The Payment Gateway is another step in this revolution helping businesses and individuals transfer and receive money without the traditional associated high costs or frictions. Samantha Seaton, CEO of Moneyhub, commented: “Technology is rapidly transforming not only the way that the banking sector is operating but the way that individuals and businesses can interact with each other. Being able to pay directly from one account to the other can mean faster and easier transactions for both customers and businesses. Whilst, businesses can also benefit from lower costs as well as the ability to see the full, end to end customer journey. As a Third-Party Provider (TPP), Moneyhub uses Open Banking to aggregate bank account information and initiate payments. It holds licenses for both an Account Information Services Provider (AISP) and Payment Initiation Services Provider (PISP). As the next increase for auto-enrollment goes live, it’s essential that providers think about how they’re going to keep these customers engaged or they risk losing revenue. The latest data from The Pensions Regulator showed in January a total of 10 million workers were automatically enrolled into a pension scheme while 11.5 million were already active members of a scheme and 438,000 were members of a defined benefit or hybrid scheme. From the 6th April, the minimum contribution rates rose from 5% to 8%, with the employee paying 5%. But while this is a positive step for lifetime saving, there’s a real risk that as the contribution levels rise, so does the risk that people will choose to opt out, deciding to fend for themselves instead. Key to this is making sure that customers are fully aware of the benefits of regular pension contributions. This means helping people be more engaged in their finances, making them more aware of how they’re spending and how they’re saving. They can also help set sufficient savings goals and enable them to visualise what these mean in reality. Help identify goals – Short-termism is a real issue when it comes to lifetime savings. With day to day money worries often difficult to avoid, thinking about retirement can often seem like too much of a luxury. But by helping people set clear long-term financial goals, putting a bit more aside each month can make a lot more sense. Improve visibility – People shouldn’t view their pension balance as an abstract pot of money disconnected from the rest of their financial universe, it should be there front and centre when they consider their complete financial health. Putting pensions savings pot(s) on an easily accessible platform gives people a constant reminder that saving for retirement is at least as important as those shorter-term saving goals. Involvement in the process - Playing a more active role in the process should also be considered. By giving customers access to the necessary tools to help them save for their future, and involving them in the decision-making process, later life saving will seem more important. Show, don’t tell - The world we live in now is all about visibility and awareness, and it’s important to do more to educate and engage. By clearly demonstrating the impact that incremental saving can have on long-term finances, people’s willingness to save a little more each month for their retirement will increase. Auto-enrolment should be seen not as a hurdle but an opportunity. By delivering additional value, providers will strengthen customer loyalty, boost assets under management, and put themselves on a stable financial platform going forward. We think it’s time we flipped our attitude to these #LifeUpdates. We have all felt that great sense of achievement when we complete a task promptly. The relief of ‘ticking’ a job off and reaping the benefits allows us to gives ourselves a pat on the back. What’s more, if we tick off simple tasks we can potentially save ourselves a lot of stress, time – and potentially money. Installing the latest software and app updates helps protect your devices from viruses and hackers as they contain vital security updates. The Cyber Aware #LifeUpdates campaign highlights those ‘to dos’ like changing service providers, using price comparison sites or adopting useful cost cutting techniques, which only take a few minutes but could have a lasting impact. When we need a little motivation to complete these day to day tasks, it’s worth considering what would happen if we just didn’t bother! If we forget to use a price comparison website when changing service providers, or forget to cancel that subscription we no longer need - it’s likely we will end up out of pocket. When we don’t install the latest software and app updates, we are increasing the risk of becoming the victim of a virus or a hack. Every new update fixes weaknesses in the software that hackers could use to attack our devices and steal our identity; - this all brings a potential financial cost and impact on our wellbeing. Installing the latest software and app updates are important #LifeUpdates that should never be put off. We want people to know it doesn’t have to be difficult or time-consuming. You can install new updates at night when you are asleep and your device is plugged into a power socket. You can also set devices to automatically install the latest software and app updates when available. For more advice on simple ways to be more secure online, visit the Cyber Aware website. As Open Banking turns one, we asked our CTO David Tonge, co-chair of the Financial API Working Group at the OpenID Foundation, to take a look at the state of the industry. Below, he examines its repercussions for customers and for financial services, and identifies the challenges and opportunities that are set to define Open Banking in 2019. When it comes to getting onto the property ladder, young people in the UK are hard-done-by. And it doesn’t help that the home buying process is often a very complex and stressful experience. But there are tricks and tools out there that can give you a helping hand - you just need to know where to find them. FirstHomeCoach, an app that guides first-time buyers through every step of the home buying journey, gives us the lowdown on five simple hacks that can get you a little closer to owning your own home. Your Credit Score is a crucial part to the home buying process. A good score is your key to securing a mortgage. But according to a report from the new Money Advice Service, 2 out of 3 people haven’t checked theirs in the last five years! Checking your Credit Report gives you a detailed overview of your credit history (including credit cards, previous loans and store credit). If it’s not in ship-shape, it could affect your ability to borrow money. The main agencies that offer these reports are Experian, Equifax and TransUnion. If you find your credit score not looking as lovely as you thought, there are steps you can take to improve it! A few include: registering to vote, cancelling unused credit cards or building your credit score with rent payments. To buy a home you might be aware that you need a hefty lump of money for the deposit. There are also costs that tend to get forgotten like legal fees, stamp duty and insurance. So it should come as no surprise that you need to get your savings going. One hack that’s on offer to prospective first-time buyers is to open a Lifetime ISA (LISA). This is a tax-free savings account that gives UK residents, between the ages of 18 and 39, a chance to boost their savings. You can put in up to £4,000 each tax year until you turn 50, with the government adding a monthly bonus of 25% to the amount saved. For example, if someone opened an account at 18 and put in the full amount every year until they were 50, they would get £32,000 for free from the government! There are some restrictions on withdrawing the money, so make sure you read all the small print. But we reckon it’s worth opening one even if you decide to hold off putting a chunk of money in it for now. According to lender Sunny, some 7.5 million britons earn on average £360 a month each – on top of their main salary - from a side business. All this requires is a little bit of creativity, some spare time and good old perseverance. If you find you do have some capacity, then a side gig can be a fun way to get some extra cash. For example, on a spare weekend you could be earning money by hosting an experience on AirBnB. This could be as simple as giving a short tour of the hipster coffee shops in your local area. From selling home-made scented candles on Etsy to getting paid to test out apps when you’re on the go, or even renting out your camera equipment when you don’t need it, the possibilities are endless. There are a loads of apps that can give you a better overview of you finances, help you save and track your progress. ● Squirrel is an app that divides up your salary keeping your ‘savings’ safe and putting your ‘bills money’ aside until they are due. ● Cleo is an AI assistant that also tracks where your money goes and gives you a clear breakdown of what you’ve spent. ● Monzo’s ‘Coin Jar’ feature lets you build savings by rounding up your purchase to the nearest pound and automatically adds the difference to the coin jar - so you can save without really noticing! ● Moneyhub is great at helping you understand where all your money is and what you are spending it on. ● And of course, there’s FirstHomeCoach which allows you to play with different home buying scenarios so you can work out when you’ll be able to buy and how much you need to save. Familiarising yourself with each step - You can speed up this learning phase by having a look at the Knowledge base on FirstHomeCoach. This collection of short articles will help answer a lot of your questions. Speaking to recent first-time buyers - Something all first-time buyers have in common is they’ve all never bought a house before. To some extent, everyone goes in blind and that can lead to a lot of headaches and unforeseen obstacles. Speaking to friends, family or reading about other recent first-time buyer’s experiences might give you a nugget of wisdom you never knew you needed! The home buying journey can be long and arduous, but these hacks are here to help you make the process that little bit easier! The most important thing is to do it all in your own time. For more help and guidance visit FirstHomeCoach.co.uk or get in touch with us on social media. Last week we were pleased to announce that Nationwide Building Society has become the latest investor in Moneyhub. The minority stake investment accelerates our plans to help businesses embed the capabilities inherent to the Moneyhub platform into their own propositions. Open Banking is changing the way people interact with their finances for the better. It’s no longer justifiable that managing investments, pensions, debt or daily spending is so complex. It’s even easier for businesses to connect with their target audiences and provide them with a more personalised service: capitalising on deeper insights surfaced automatically to help people manage their finances more effectively. It’s now been eight months since the Open Banking reforms were put in place. Designed to put the consumer back in control of their data, the top 9 banks (CMA9) had to provide an Open Banking connection (API) that regulated Third Party Providers (TPPs) with special permissions could connect to. This allows their customers to see all their finances in one place and use market leading tools to analyse their money. Hosted by the Mental Health Foundation, from 14th to 20th of May, is Mental Health Awareness Week. This year’s theme is a theme we’re all more than familiar with: Stress. In the UK, 85% of adults experience stress regularly, with the leading cause of stress being money. With over a third of Brits experiencing stress for at least one full day a week, it’s clear the issue of financial worries in Britain need to be addressed and rectified. Open Banking came into effect any January 13th 2018. So why didn’t everything change overnight? And why is there still so much confusion over the regulations and permissions involved with APIs? In a sentence, the reason is that the rules for the roll-out, or transitional, period, are complicated. Zurich Insurance Company and Embark Group held a seminar celebrating International Women's Day 2018, where our CEO Samantha Seaton gave an enigmatic presentation revolving around the idea of Press for Progress, alongside the wonderful Dame Helena Morrissey, Jim Bichard and Rose St. Louis. In the UK, ‘Financial Wellbeing’ is becoming a core pillar within strategies run by organisations to support the physical and mental health of their employees and consumers. Financial services and corporate organisations play a crucial role in their customers and employees’ lives. In a survey by YouGov of 1,817 working adults across all industrial sectors, the findings revealed that financial wellbeing not only affects individual workers but it also impacts business performance. In the 20 years I have been working on digital projects design has changed quite a bit, or perhaps I have changed. Back in the dark ages of digital design (I think we started out calling it multimedia) designers would pick up a brief and work on ideas for a big chunk of time (a number of weeks usually). Once happy we would then show it to our clients and have a chat about how suitable the design was. If the client was happy we would give the designs (over the wall) to a team of wizards to build. When consumers use money management tools, they normally receive a historical view of their finances. But how useful would it be for them to also see their financial future?